Ready, Set, GO!! A new year, a new you…well maybe not NEW but at the least an attempt to better yourself! 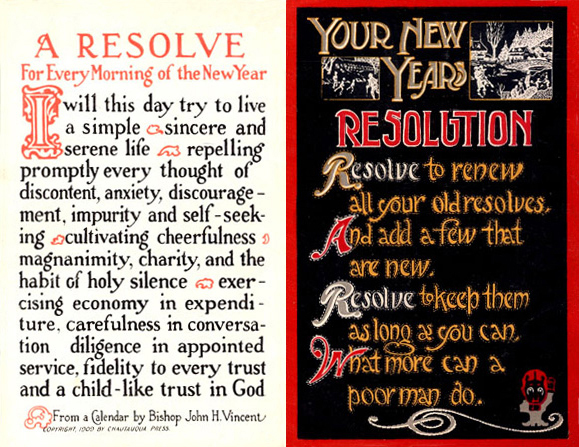 After all, New Year’s Resolutions have been around since the time of the Babylonians (a LONG time ago). In fact, polls show that around half of all Americans make a resolution to do better in the new year. The most common include exercising more, losing weight, kicking bad habits…sound familiar? Sadly, a 2007 study showed that 88% of those who set resolutions fail. And ladies, women were found to be twice as likely to “fall off the wagon” than men. Only 10% of women who set resolutions will succeed at maintaining those goals. Even though these numbers point to a not very effective practice, the actual resolve or desire to make a change in one’s life is a very important first step in actually making the change happen. So let’s focus on the positive. How can we try and make our good intentions become reality? Be clear with your goals. If you are wanting to lose weight, be specific as to how many pounds and in what time frame. “I’m resolving to lose 10lbs in 3 months”, that means around 3 pounds each month–which sounds a bit more do-able. If you plan on going gluten free or becoming vegan (because everyone is these days), start with eliminating one specific thing at a time vs taking on big changes all at once. Starting small has been shown to help people commit to changes for longer periods of time. Setting up clear goals is the most important step toward achieving your resolution. When we decide to make changes in our life, we often don’t share this intention with other people for fear of letting them down. In order to help your plan succeed it is critical to talk about it with friends or family. By making your resolution public, you suddenly have accountability for your actions. We tend to accomplish tasks more often when we have a stake in the outcome. Commit to your plan by setting up a buddy system with a friend that you check in with to assure you are meeting your exercise goals each week. Even better, pair up with someone who has the same resolution and work at it together! Put those creative juices to work by making a motivation board as a visual reminder of your goals….have fun with it! Nobody is perfect and change is not easy. You will have moments when you give in to that juicy steak or yummy brownie (ok…three yummy brownies!). Failure is an inevitable part of success. Don’t be hard on yourself. Think of failure as an opportunity to improve your strategies. If you exercise after work and find that life keeps getting in the way (kids activities, work events…exhaustion!) then perhaps switching to a morning schedule might help you be more consistent. The most important thing to do when you hit a road block is to just keep going! Don’t give up…the fact that you made it this far is more than most people ever do. These tips are nothing new and you have heard it all before. However, every new year brings a new opportunity to make meaningful changes in your life. Even though the studies show that the odds might be against you–they also showed that people are more likely to stick to changes they make at the beginning of the year vs. those made at any other time. I commit to making this blog and website work for you by sharing information that helps women become more engaged in their health and wellbeing. …and yes, to lose weight and get fit! Here are some apps to keep you on track!